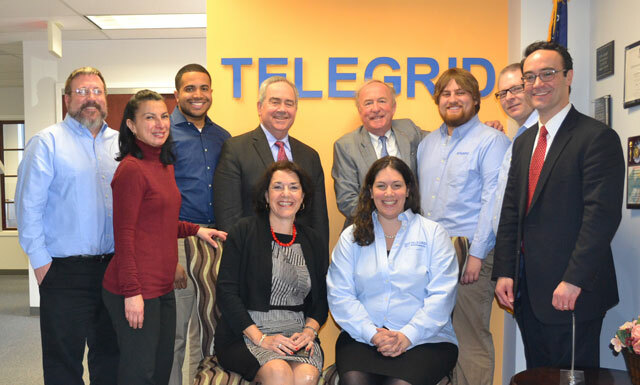 TELEGRID was pleased to host a Town Hall meeting by the Chairman of the House Appropriations Defense Subcommittee Rodney P. Frelinghuysen at TELEGRID’s Florham Park offices on April 6th. As the Representative for New Jersey’s 11th Congressional District, which includes Picatinny Arsenal, Congressman Frelinghuysen has a unique view into the state of defense spending nationally and the status of New Jersey’s defense industry. TELEGRID’s Vice President, Eric Sharret, moderated the event which included TELEGRID’s NJ-based supply-chain representatives, NJ-based prime contractors and TELEGRID employees. The Town Hall covered a wide range of topics including bringing more defense-related programs to New Jersey and creating new jobs in the State. The Congressman stressed that New Jersey possesses the core needs for the advancement of high technology, including excellent higher education institutions and local Governments committed to expanding science and technology in the state. He expressed his desire to continue the legacy of innovation embedded in New Jersey by the likes of Thomas Edison, Bell Labs, AT&T and the former Fort Monmouth base. The Town Hall provided a positive vision of the potential for success in moving New Jersey’s defense industry forward. It also reaffirmed the attendees belief that New Jersey has a committed leader in Washington, DC who is knowledgeable of the state of the defense industry and is committed to advancing it and creating more jobs in New Jersey. To download the SMRTe datasheet and learn more about our other Cybersecurity Tools visit our website. Visit us at the AFCEA Defensive Cyber Operations Symposium on April 20-22 at the Walter E. Washington Convention Center. TELEGRID engineers will be in Booth 1021 to discuss ongoing work with DISA including Single Sign-On (SSO), Authentication/ Authorization and Embedded Software Security.